N. THANABALAN’S name may not ring a bell to the majority of the new generation of footballers, but he was an icon in the 1960s. He may not be as well known as his teammates Wong Choon Wah, Chow Chee Keong, Sardar Khan, Chow Kwai Lam, Dell Akbar, M. Karathu, M. Chandran or Abdullah Nordin, to name but a few, but Thanabalan, who turns 71 on April 29, had his fair share of the limelight. Sadly, that has been forgotten. 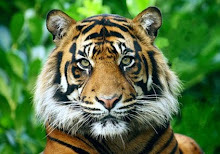 Thanabalan, who turned out for Selangor and the nation from 1963 to 1971, has a record that stands until today: he scored the most number of goals in a Malaysia Cup final – four (a hattrick and the sixth goal). This was in Selangor’s 8-1 demolition of Penang in the 1968 Cup final at the Merdeka Stadium. Thanabalan has four Malaysia Cup medals with Selangor. 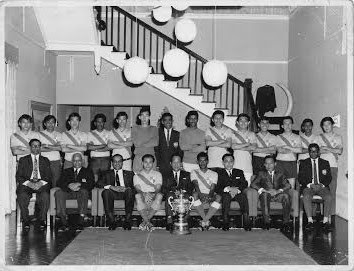 It was also in 1968 that he was the hero of the Merdeka Cup tournament, when Malaysia played Burma (now Myanmar) in the final on the eve of his wedding day. He took to the field, scored a goal in their 3-0 win to hoist the Cup, which was last won in 1959. Thanabalan scored a total of eight goals in six matches in the tournament. He capped 107 times for the nation. The diminutive striker, though, does not mind not being as famous as many of his football peers. “I had my fair share of the limelight while I was playing, but my name did not stand out after my playing days,” says the trim septuagenarian who keeps fit with morning walks every day. He has been a vegetarian for the last 20 years and does not smoke or drink. Thanabalan, who worked for Tenaga Nasional for 35 years until he retired in 1998, still goes back to the field three times a week to be with the veteran Kilat football team. He is the team’s advisor and sometimes does a little bit of coaching. Well known or not, Thanabalan is giving back whatever he can to the game, which he greatly enjoyed since he first started playing in 1950s in the small field overlooking the 100 Quarters in Brickfields. 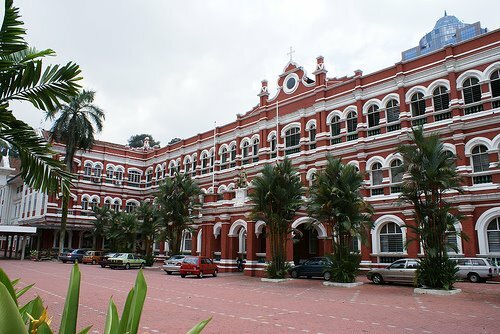 He was also a middle-distance and cross-country runner during his school days in Batu Road School and Victoria Institution, winning many honours. 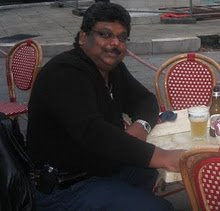 Thanabalan is currently the vice-president of the ex-State and Ex-National Footballers Association of Malaysia, serving his second term. Father to neurosurgeon associate professor Dr Jegan and chartered accountant Thanashree, Thanabalan lost his wife of 44 years Jeyalachumy two years ago and has been spending more time on the football field and with his football friends. 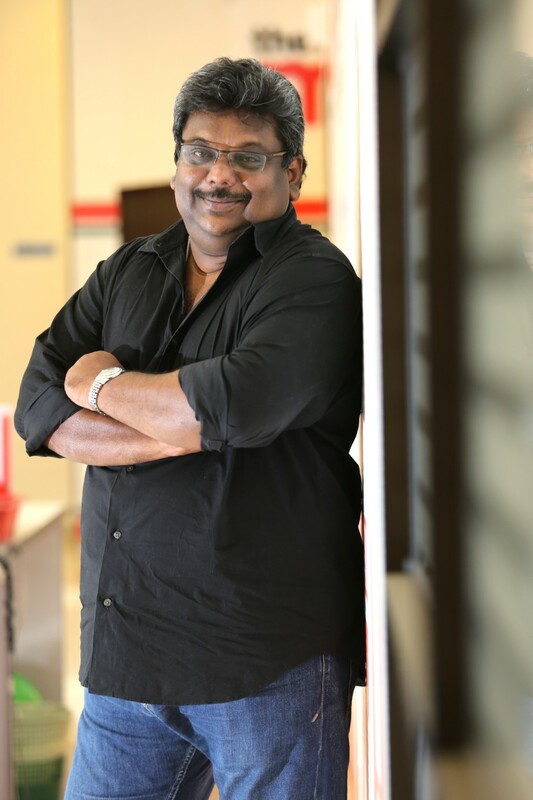 The ever-friendly Thanabalan has time for everyone and his advice to aspiring footballers is simple: “Fitness and discipline are two key factors which every footballer must have. 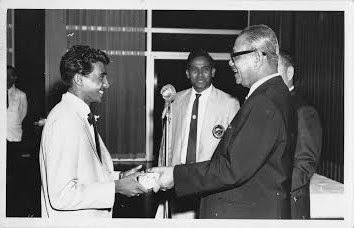 Thanabalan receiving a memento from FAM president Tunku Abdul Rahman Putra Al-Haj as Peter Velappan looks on.